2015 vintage card forums continue to bustle with gossip and check-ins, as collectors take the temperature of what their market likes on a regular. Buyers (and thus, sellers) appreciate certain teams or players today more than our forebears and there's a continual hunt for discoveries in dusty estates or cigar boxes. Part of advanced collecting is feeling poised on the edge of new cardboard territory, even when "new" means "compared to Abner Doubleday." 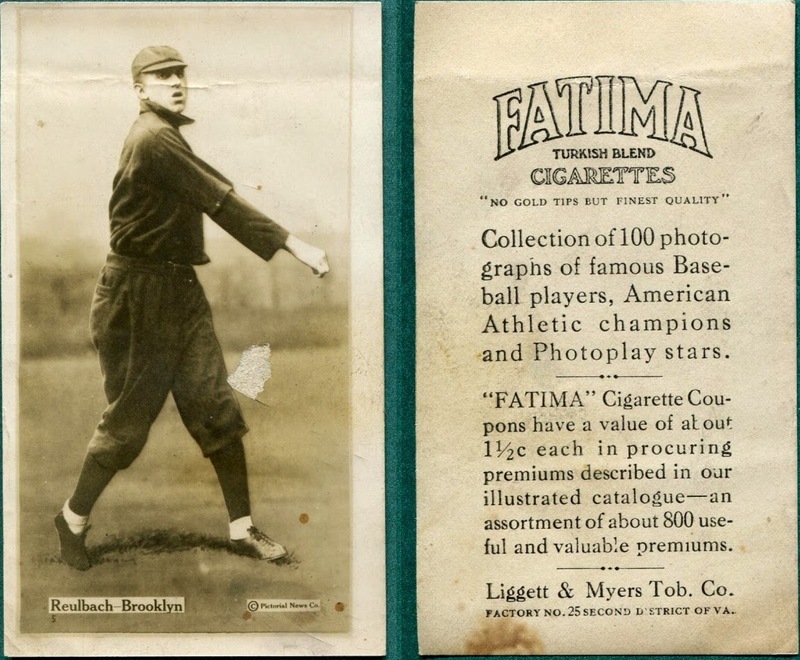 I'm ten-plus years into the type collection, but discovered a new-to-me, century-old, Turkish cigarette entry just this week: T222 Fatima Baseball Players, a follow-up to their unnumbered T200 Team Cards. As seen in this excellent OldCardboard.com gallery, four of its players feature a "5" below their name and team, which is good enough to pique my curiosity. The first #5, Ed Reulbach, would be a special find as one baseball's hardest-to-hit pitchers. 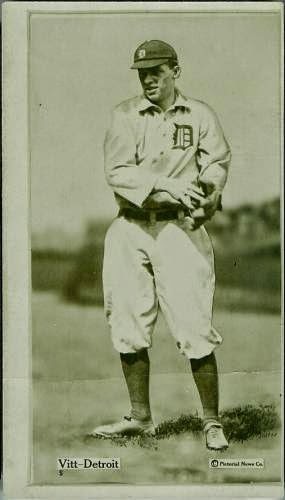 He threw one of its finest curves and is the only man to pitch a doubleheader shutout (Sept 26, 1908); much more at his SABR bio. 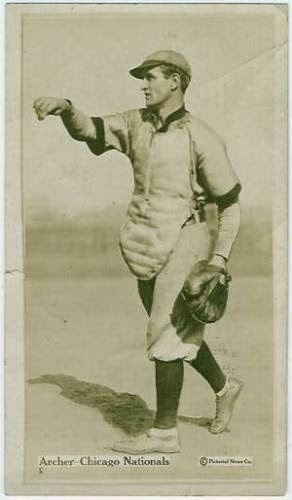 How difficult is it to capture catcher Jimmy Archer in a single sentence? 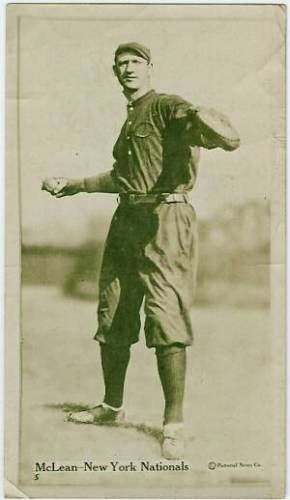 This Irish-born member of the Canadian Baseball Hall of Fame could gun down base-stealers while crouched thanks to an industrial soap vat accident that bestowed upon him the proportional powers of a spider shortened and quickened his throwing arm. That's about three different novels in one guy. While I don't own any of the #5s yet, The Trader Speaks' set gallery showed me what all four guys look like. How do they look? They look warm. Phew, the sweating! Those dark woolens on Larry McLean speak to season after season of humid afternoon games, dreaming of 21st-century light-knit uniforms and cool evening start times. Like Billy Martin, Ossie Vitt's antagonistic managing style eclipsed his skills with the bat and glove. The public kerfuffle over his handling of Cleveland's Crybabies made the 1940 season especially juicy for fans of tight playoff races. Despite its claimed "Collection of 100 photographs," collectors agree only 52 baseball players exist. Eight other athletes and cinema stars round out the T222 set at 60 total and there's a full checklist at Sports Collectors Daily. 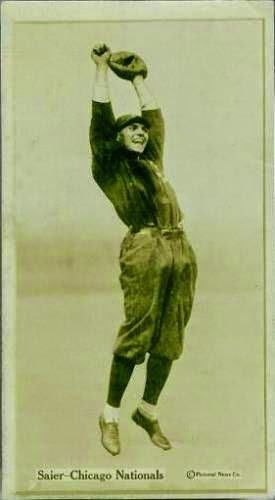 Not a #5, but T222 Vic Saier is the most gleeful prewar card you'll see today. Omg weeeeeeeeeee! Fakes / reprints: Fatima cards are old enough and interesting enough to be a high risk for reprinting. How to detect the bad ones? Fatima cards are real photos, so won't show any dot-printing pattern under magnification. Also, as with most prewar shopping, know your dealer when buying type cards. Those are fantastic. I like the Reulbach the most but I'd be happy to own any one of them. Agreed, tough going so far! They are not easily found in any predictable way.